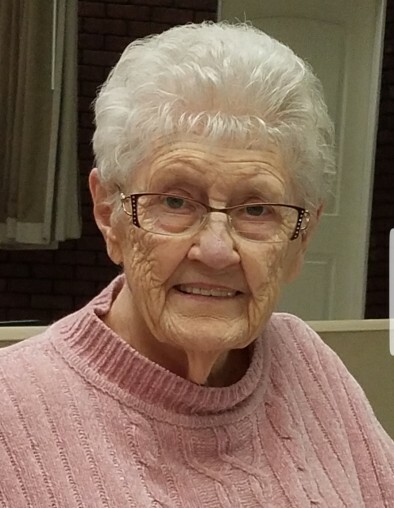 Thelma (Madison) Slapka, 93, of Centennial, Colorado and formerly of the Dolgeville & Oppenheim, New York area, passed away peacefully late Sunday night, March 31, 2019 at the Denver Hospice Care Facility in Denver, Colorado. She was born on May 5, 1925 in Starkville, New York and was the daughter of the late, James and Blanche (Shulenburg) Madison. She was educated at Owen D. Young Central School and graduated with the Class of 1943. Thelma married Robert C. Smith from the Central New York area in 1944. They were divorced in 1948. On September 16, 1979, Thelma was united in marriage to Mr. Steve Slapka at their home on King Road in Oppenheim, New York. Mr. Slapka passed away on April, 24, 1997. Thelma was formerly employed by Daniel Green Shoe Dolgeville, New York as a sock liner. She worked there for over 40 years until her retirement in 1996. In Thelma's younger years, she played the steel guitar in a country western band in the Dolgeville and Oppenheim areas where they would play at local venues and for weddings. In addition to playing music, she enjoyed playing bingo with her daughters and taking their annual trip to Las Vegas, she loved animals, fishing with her husband, Steve, on Sacandaga Lake in New York and loved living out west in the state of Colorado, especially the beautiful mountain scenery. A loving wife, mother, sister and grandmother, she will be missed dearly by her family. She is survived by her beloved children, Robert J. Smith of Houston, TX, Richard W. Smith of Raleigh, NC, Edie M. Leifer and her husband, Gary of Overgaard, Arizona, and Donna L. Hollaran and her husband, Doug of Centennial, CO; six special grandchildren, Kevin, Lynn, Sherri, Chris, Heather, and Meghan; 11 great-grandchildren and 3 great-great grandchildren. She was predeceased by her beloved son, Ronald W. Smith on December 22, 1963 and her siblings. A graveside memorial service will be held at a date in the Spring of 2019 to be announced in Dolgeville Cemetery where she will be laid to rest alongside her husband, Steve and their close family friends, Bob & Pat Sheppard. To leave a message of sympathy for the family of Thelma Slapka, please visit www.robertsfuneralcare.com and sign the guest book.